The Centre for Reproductive Medicine in Lubbock has helped many people start the family that they have always wanted. This has often been achieved through in vitro fertilization (IVF), which remains one of the most popular options for fertility treatment that is available today. We've been breaking down the IVF process step by step on this blog over the last few months. In a post last month, we looked at egg fertilization and embryo culture, the third stage of the IVF process. We now want to look at the final stage of IVF, which involves the transfer of the embryo. Embryo transfer is straightforward on its surface. 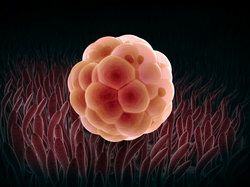 It involves the transfer of embryos into the womb after they have divided into multiple cells following fertilization. At what point of cellular division is embryo transfer performed? As mentioned in the previous post, the embryo is usually ready to be transferred roughly three days after fertilization. At that point, the embryo will have divided into eight cells. Sometimes a fertility expert may decide that waiting for the blastocyst stage (200 to 300 cells) is more ideal. This call will be made by the fertility specialist during the consultation process. How many embryos are placed and why? Usually multiple embryos will be placed during embryo transfer. You see, during ovulation induction, multiple viable eggs are available to use thanks to fertility medications that are taken. This leads to multiple eggs being extracted from the ovaries during the retrieval stage, and multiple eggs being fertilized in the lab. By using multiple embryos, this increases the chances of successful IVF treatment and a successful pregnancy. Since multiple embryos are transferred during IVF, there is a higher possibility of multiple pregnancy occurring (i.e., twins, triplets). If patients wish to avoid having twins or triplets, single embryo transfer may be attempted, though this will need to be discussed during the consultation process. During the actual embryo transfer, the embryos are carefully introduced into the uterus using a catheter. A sonogram is used to help guide this catheter into place and ensure that the embryos attach to a woman's uterine lining/uterine wall. Patients will undergo pregnancy tests about two weeks after embryo transfer is complete. While there is a great deal of stress and anxiety when it comes to learning the results of IVF, patients should do their best to rest and relax. Stress is bad for your health and can lead to issues with achieving successful pregnancy. That said, the anticipation is totally normal. If a woman has experienced a miscarriage in the past, there is a likelihood of another miscarriage occurring. In these cases, or in cases in which a woman may not be a good candidate for carrying a child to term on her own, a surrogate carrier may be a better idea. A surrogate carrier is a woman who is hired to carry a child to term for an individual or couple. If you would like to learn more about in vitro fertilization (IVF) as well as many other fertility treatments that can be beneficial to you and your needs, we encourage you to contact our fertility specialists today. The entire team here at The Centre for Reproductive Medicine looks forward to your visit.